This time of year, we all start to look at what improvements our properties need before the silly season kicks in for entertaining in our homes and ensuring our house looks fresh and inviting. It’s also a great time to focus on structural improvements to your yard. Retaining walls are a great way to add structure to your property, increase drainage to your yard and create visual dimensions to your garden. A retaining wall is a structure that holds soil behind it. For retaining walls to be strong and build correctly they need to be constructed with the correct grounding and quality fixtures with correct drainage. 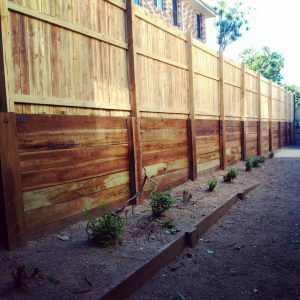 There are many different types of retaining wall options, various purposes to construct a retaining wall and can be made from all types of materials like; timber or concrete sleepers, block and rocks are all used for various reasons. Timber is the least expensive option when it comes to constructing a retaining wall. However, it will also have the shortest lifespan as it can start to decompose. Materials such as rocks, boulders, concrete blocks and sleepers can last for decades, which is why they are a more suitable option for quality and strength. 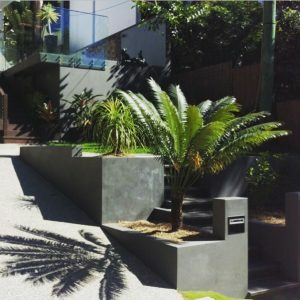 Brisbane Home Landscaping chooses to buy their retaining wall materials from Steve Jones Hardware, a North Brisbane Landscaper’s home away from home. Browse their range here – Steve Jones. The costs associated with building a retaining wall will vary due to many factors like materials, type of structural wall required, size, depth, length and labour to construct the wall. Plus depending on the style of wall build any machinery which may be required during construction. But with the right construction landscaper you can be ensures it will last and the investment will stand for itself. 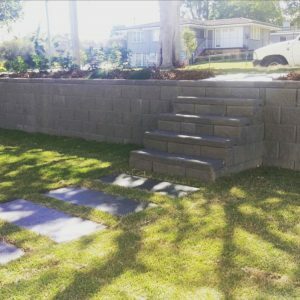 Once you have decided on the type of Retaining Wall you want to build and have your quote from a professional construction landscaper here is how your project should run. Plans are decided, materials are confirmed and ordered, labor and materials are booked. Excavate the site to prepare the grounds for the build. Check the soil and space – here is the time if any modifications are required to your retaining wall build, they can be made prior to construction commencing. Prepare the base for your wall with appropriate drainage and gravel footings. Construction begins. The timing of your build can depend on the size of your retaining wall and uncontrollable factors such as weather. The finishing touches are put on your project and retaining wall job. Retaining walls can also be used to create beautiful and diverse landscape designs. Retaining walls can be used to create dimension, layers, garden beds or frame to your yard and enhance the appearance of your property. 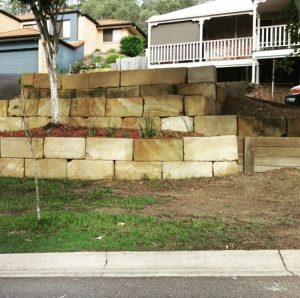 Retaining walls can be built in any shape which sit as artwork in your yard or blend in with your natural surrounding landscapes. A good retaining wall is not only structural but can also be aesthetically pleasing as it frames and enhances your outdoor living space. They can create layers to your expanding garden or add privacy to your home. Retaining walls make great boundary lines for your property. When paired with a staircase, they create a beautifully balanced visual effect and practicality to your landscape.